Brian Wesolowski serves as CDT’s Vice President of External Affairs, where he leads the organization’s strategic communications efforts and special projects, while also improving internal work flow and operations. He has more than 10 years of communications experience, having worked in both organizational and agency settings. Brian began his career working for D.C.-based agencies, supporting a wide range of government, non-profit and corporate clients. Before joining CDT, he served as the Director of Communications for Qatar’s Supreme Council of Information and Communication Technology, the country’s government technology policy body and telecommunications regulatory authority. While in Qatar, he also founded and led the country’s affiliate of Creative Commons and worked to promote digital openness. 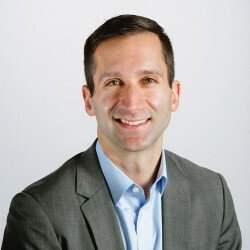 Brian holds a Bachelor of Arts in Leadership and Communications from the University of Richmond and a Master of Public Administration from the University of Michigan, with a specialization in Science and Technology Policy.